If you’re looking for a yummy snack or side dish, I’ve got you covered today! 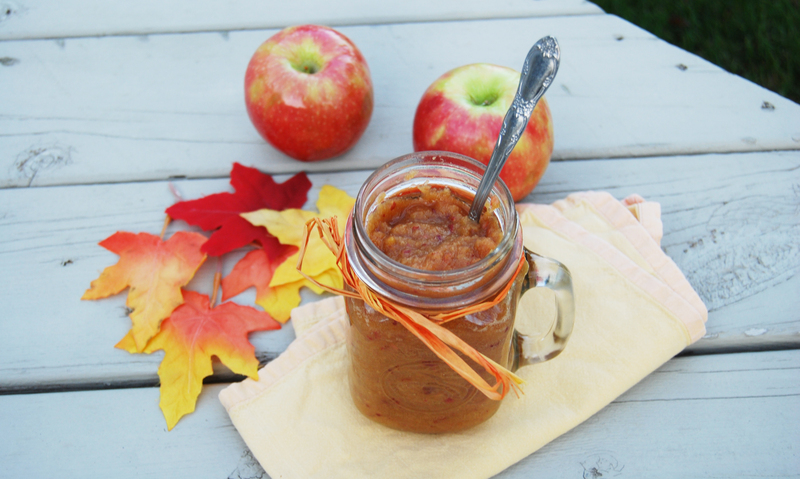 This easy homemade applesauce is so simple that you’ll feel you’re cheating somehow. At least that’s how I feel. I have canned applesauce in the past, but the past few years I just haven’t gotten around to it. I like to know what’s going in my food and of course, making things from scratch allows us to do that. Homemade doesn’t have to take a long time or leave you sweating over your stove. This recipe proves it! 1. Chop apples and place in blender. Add water, cinnamon, sugar, and nutmeg. Peel apples if desired. 2. Serve cold if you’re in a hurry, OR warm up in a saucepan on low heat for about 15 minutes, stirring occasionally. 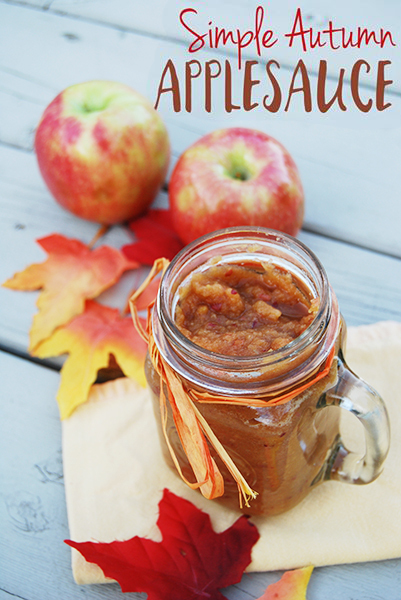 Serve fresh or the applesauce lasts in a sealed container in the refrigerator for up to 4 days. You can also make bread, muffins, latkes, or donuts to serve with the applesauce. I frequently substitute applesauce for oil in a lot of different baked goods to make them a bit more healthy and natural. You can find more easy recipes here!